In 2014 Positivus festival will be held for three days - from July 18 until July 20 (Friday, Saturday, Sunday). The tickets for the 2014 Positivus festival will go on sale on October 21. The first three days – October 21 until October 23 – the three day Positivus festival ticket will be available for a special price of LVL 33 (EUR 46,95). These tickets will be available at www.positivusfestival.com, www.bilesuserviss.lv and Nordea ATM’s (only Latvia). Girts Majors, festival organizer: “In 2014 the festival will be held 3 days again, offering an even more impressive and colorful program. Cooperation with Lattelecom is a lot of valuable technological addition to the festival and will raise the festival to a new quality, including the use of Lattelecom TV options. The festival’s main stage on which the biggest stars of the festival perform consequently will change name and become the Lattelecom Stage. 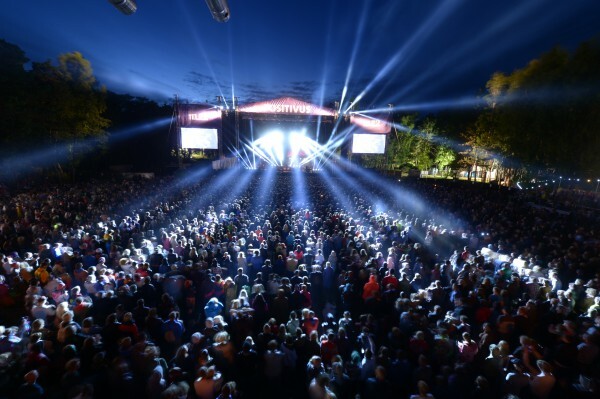 This year the festival won the largest-ever foreign response and appreciation and Positivus festival has been nominated for the festival award in “Best European line-up” category. This nomination of candidates is selected by an international jury, and Positivus festival in this category is competing against 9 other European festivals, including Glastonbury, Roskilde, Latitude, Primavera, RockamRing, Sziget, etc. Positivus compete with other festivals in “Best medium sized festival” category as well. The tickets for the 2014 Positivus festival will go on sale on October 21 and for first three days tickets will be available for a special price - only LVL 33 (EUR 46,95). From October 24 a 3 day ticket without camping will be available for LVL 37,95 (EUR 54). 3-day ticket with camping LVL 42,17 (EUR 60,00).